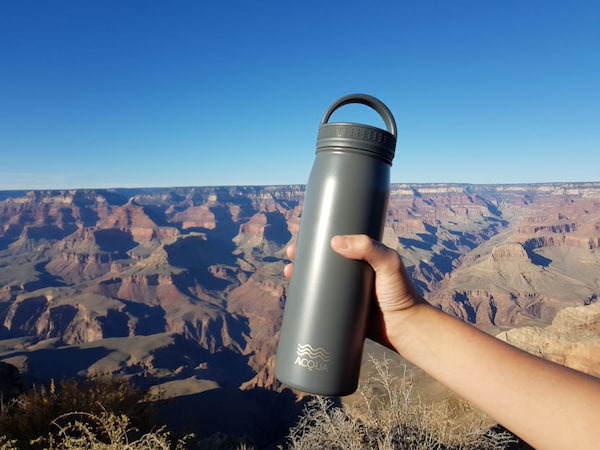 Keeping your own tumbler nowadays is pretty much mandatory -- heat and cold retaining hydration solutions has become a thing not only for the folks with active lifestyles doing their outdoor hikes or workout of the day, it's also for the on the go office folk who want to keep their coffee hot (save money by brewing your own coffee rather than doing the daily coffee shop run! ), plus reusable tumblers also does help reduce your plastic waste. 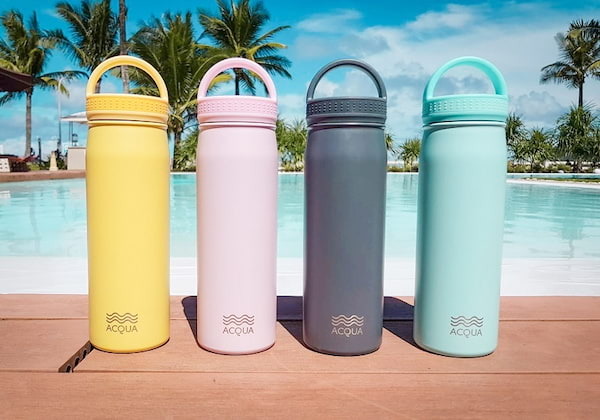 These insulated jugs can be quite pricey, so this new brand now available in Manila is the perfect holiday gift or treat for yourself! 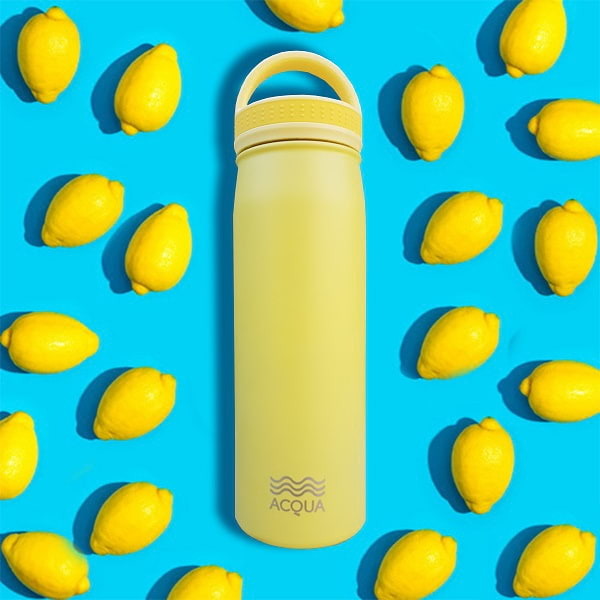 Acqua is a new brand of hydration tumblers now available in Manila, and they're both affordable and gorgeous. These pastel-colored tumblers are only P799 each and keep your drinks cold for up to 24 hours, and keeps your favorite hot beverages hot for 12 hours. Currently it comes in one size (500ml tumbler) and the Classic Tumbler Collection (P799 each) comes in four different colors: Rose Punch Pink, Seafoam Blue, Lemonade Yellow, and Charcoal Black -- and would make a fashionable (and functional) partner to whoever totes it inside their bag everyday. 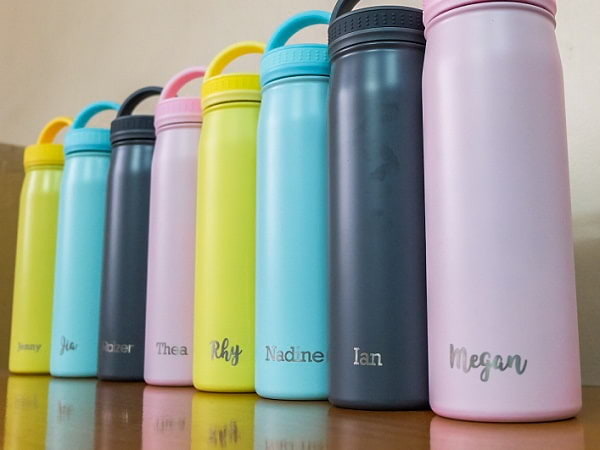 This can be a cool corporate giveaway or personalized gift this holiday season, with a standard personalization rate of P150 to add a name in your preferred font. 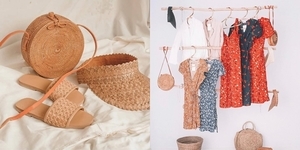 Bulk orders get special rates and also get free personalization for orders of 100 pieces and above. Cop your own tumbler or order for your friends this Christmas by e-mailing acquabottlescompany@gmail.com. Follow Acqua on Instagram (@acquabottlesph) and Facebook (/acquabottlesph) for more information.